GlenanCross is set adjacent to the world famous Camusdarach Beach and near to beautiful Morar and the Silver Sands, amidst the splendour of the mountains, lochs. 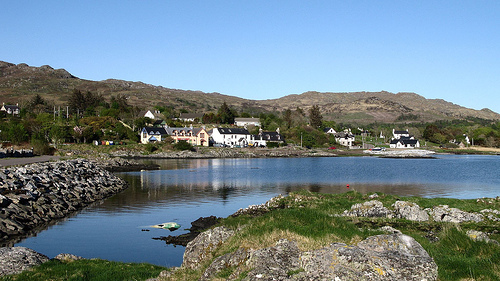 Equidistant from the picturesque villages of Arisaig and Mallaig, the larger fishing village. 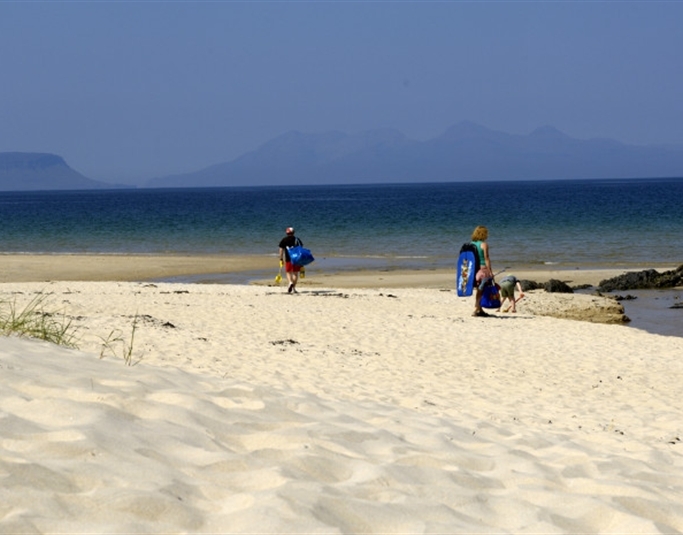 From the Guesthouse you can enjoy stunning coastal and mountain walks and you are a short walk away from the famous Camusdarach beach and local activities which suit absolutely everyone. Glenancross is a great place for photography and painting, the light is superb, and they are happy to provide some painting material and an easel. This season, in May, GlenanCross offers a four day painting course hosted by international artists Don McNeil and Jean Bell of Fyne Studies (more to follow, please call 01687 450634 for more details). To the right is a slideshow featuring the local area and some of the activities available. 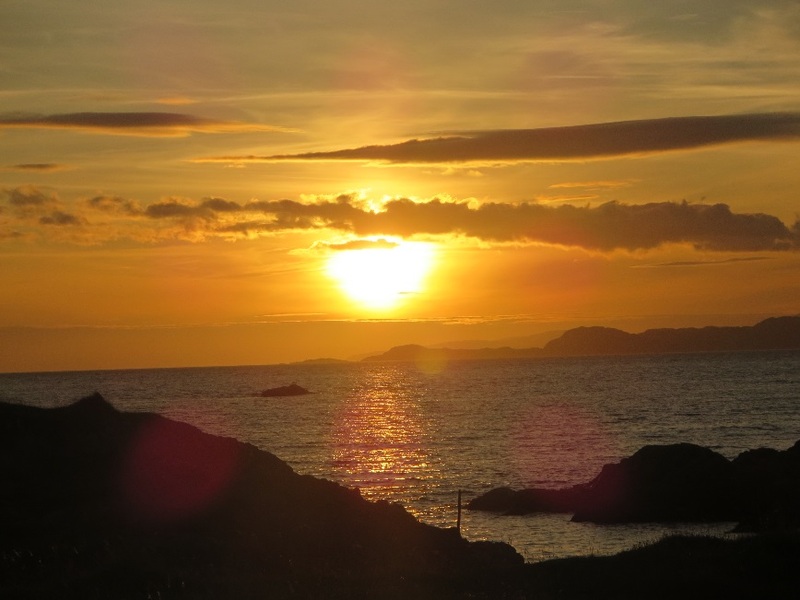 Glenancross is equidistant from the picturesque villages of Morar and Arisaig and only a few miles from the larger fishing village of Mallaig, which can provide all the provisions and entertainment to fully compliment your stay at Glenancross Farm. 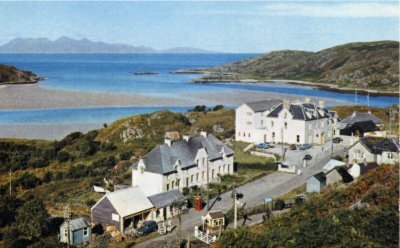 The village of Morar has a local hotel with bar and restaurant. The Silver Sands of Morar are a celebrated series of beautiful sandy beaches, which pepper the coastline from Arisaig to Morar.A stunning string of white sandy beaches, with spectacular views out to the Small Isles of Rum, Eigg, Muck and Canna, the Silver Sands of Morar are a spectacular destination. A popular place with walkers, the beaches are all accessible from the road and can be enjoyed individually or as a trail. 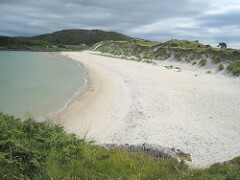 The beaches incorporate the back of Keppoch and Camusdarach on the coastline. The village of Arisaig has a friendly hotel with bar, a couple of restaurants, a local craft shop at the harbour, a lovely coffee shop and a local grocery shop with post office. Arisaig lies on the A830, which leads to Mallaig to the north and Fort William to the east. The route, which is also known as the Road to the Isles, has been upgraded from a single to a double-track carriageway. Work was completed in 2008. The village is served by Arisaig railway station on the West Highland Line, which connects the village to Mallaig and Fort William. It is the most westerly station on the British mainland. A small passenger ferry sails from Arisaig to the Small Isles of Eigg, Muck and Rùm. 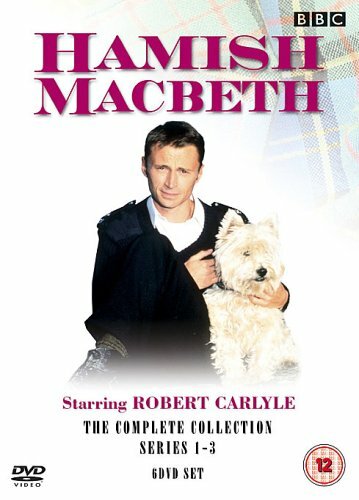 The main CalMac service to the Small Isles operates from Mallaig. 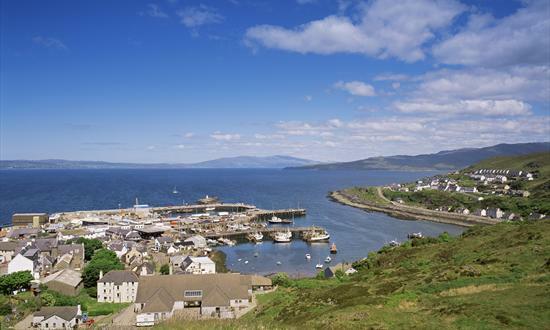 Mallaig has a thriving town centre and many visitor attractions including the sea life centre, the busy working harbour, and there is a heated indoor swimming pool with fun days for the children. Mallaig has a full range of accommodation, banks, supermarkets, chemist, post office and a Tourist Information Centre. Fresh fish and the famous Mallaig kippers are available in local hotels, restaurants and in the fish shops. Maggie and Tom have a current handout of local events and restaurants, (with recommendations) always being updated as new events and restaurants come on stream. Is one of the most beautiful beaches in the UK, if not the world. For further information click here. 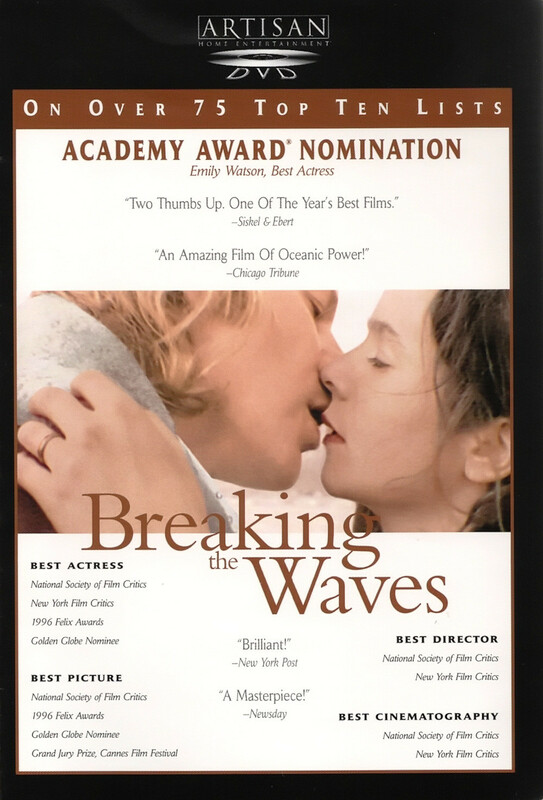 On the beach, you can get married, swim in safe waters, sunbathe (sun permitting), walk for miles along lovely sands, picnic, enjoy the most beautiful sunsets in the UK, or imagine you are in a scene of Local Hero, where the beach scenes were filmed, where Peter Riegert, Denis Lawson, Fulton Mackay, and Burt Lancaster had those amazing philosophical discussions over buying ‘his [Ben’s] beach’, e.g. 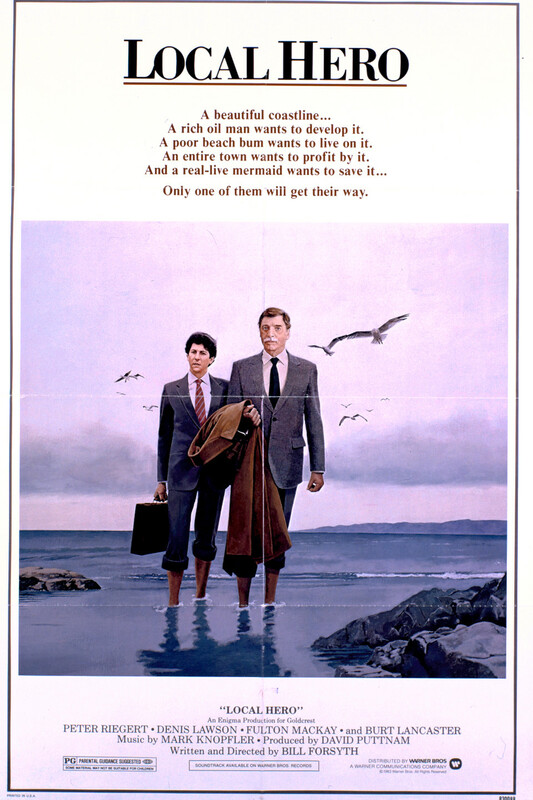 “MacIntyre: [desperate to make the deal] Look, how much do you want? Ben Knox: [fills his hands with sand] Would you pay me a pound for every grain of sand in my hand? [drops some sand] Ah, well, that saves you some. Well, would you do it? MacIntyre: No. Of course not. A great place for a wedding (Google Weddings on Camusdarach Beach). Book your wedding party into GlenanCross GuestHouse and we will throw in a bottle of Champagne for your celebrations on the beach or in our lovely garden. The choice of restaurants in this area is excellent serving the finest fayre from the land, loch, river and sea. In the numerous ‘eating in’ or indeed ‘eating out’ facilities one can sample the best of seafood, beef, lamb, venison, salmon, fish and shellfish to name but a few of the favourites. Not quite a national dish but the next best thing - locally caught haddock deep fried in batter and served with chips is something one must try. The quality of our restaurants is second to none; from country house to bistro, from four star to take-away one is spoilt for choice. Below are some of the recommended places to eat according to location. The Arisaig Hotel offers lunches and dinners, teas and coffees with home baking to residents and non-residents. The chefs prepare all the food on site, using fresh local produce where possible, and create some real treats! Dinner can be taken in either of the Bars or in the Dining Room. After dinner you can join the fun in the Crofter's Bar. (Tel: 01687 450210). Lunch and dinner are available at The Old Library Lodge & Restaurant - booking advisable (Tel: 01687 450651). The food is bistro style and the chef uses as much of the abundance of local produce as possible. Friendly restaurant with imaginative dishes - modern Scottish with French touches. The Morar Hotel offers breakfast, lunches, snacks and bar food in the Silver Sands Restaurant, the Café Morag and the Bar Lounge. Fresh fish is a frequent special. Tel: 01687 462346. For a different taste sensation, try the exotic Thai Food (take-away) from Sunset Guest House (Tel: 01687 462259). Please give several hours’ notice of requirements. Fresh fish and the famous Mallaig kippers are available in local hotels, restaurants and in the fish shops. By the harbour, Fish Merchant Andy Race has a shop and also offers a mail order service selling a variety of freshly caught seafood. The Cornerstone (Tel: 01687 462306) offers both restaurant and take-away food. They serve haddock, langoustines, prawns, monkfish, sole, mussels and a whole lot more. There are also meat and vegetarian options. Taste their delicious home baked desserts. 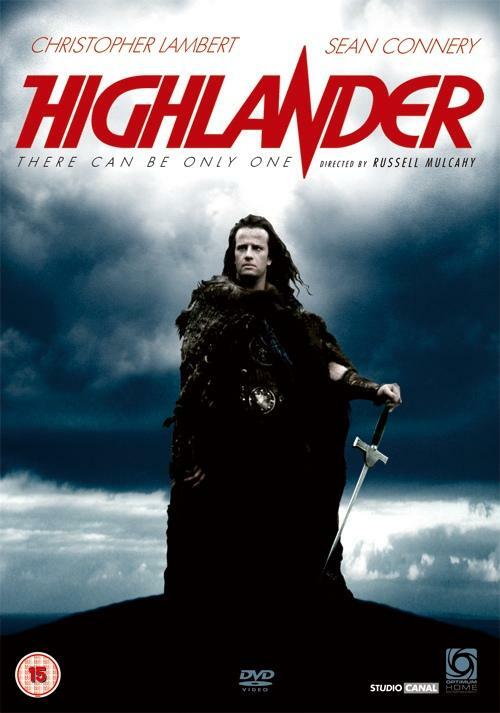 Click HERE to view some information on Local Hero and other movies filmed on Camusdarach beach or close by.